A Seminar on Effective management of personal finances was held at Hotel Esthell, Chennai. Ms.Sarika Dhameja - Senior Manager, Delloitte Haskin & Sells, focused on how to manage personal finance, explained income tax details, deductions and several investment benefits. 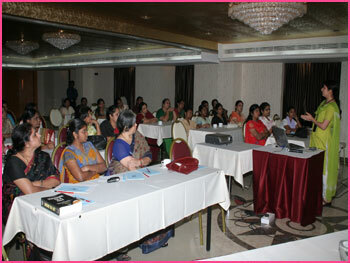 Around 35 women participants from various IT and ITES companies from Chennai, benefited from the event.